Linville Caverns cabins are conveniently located next to the only available show caverns in the entire state of North Carolina. 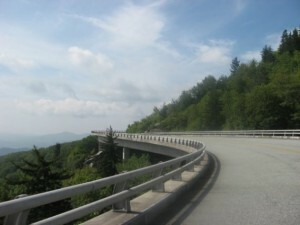 But to explore all that the High Country can offer, book your stay at nearby Blue Ridge Parkway Cabin Rentals. The Linville Caverns are privately owned and have been open for guided tours since the late 1930s. The active limestone cavern offers the public a chance to explore the subterranean environment of the Blue Ridge Mountains. Visitors are provided information on the caverns’ various formations, inhabitants and local folklore, including stories of Civil War soldiers that would use the space as a hideout. In the fall and winter, guests are likely to catch a glimpse of the popular tricolored and little brown bats. The inhabitants feed on insects and hibernate in the caves until early spring. 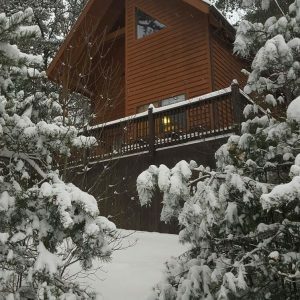 At Blue Ridge Parkway Cabin Rentals, we offer two cabins that are perfect for your escape to the High Country. And with just a ten-minute drive to the nearby Linville Caverns, you’re perfectly positioned to enjoy all the natural attractions the area has to offer from the seclusion of your private rental. Surrounded by the beauty of the Pigsah National Forest, our cabins offer a sense of immersion into the mountain wilderness. But our amenities are anything but primitive. Although the interior of our cabins are encased in beautiful knotty pine planks and rustic furniture, they’re also equipped with modern conveniences. Air conditioning, ceiling fans and a fireplace ensure that you stay comfortable no matter the temperature outside. A full kitchen and outdoor grill allows you to whip up homemade meals when you don’t feel like going out. You can even soak away the stresses of the day in your own private hot tub, complete with stunning mountain views. No other Linville Caverns cabins can offer all that! Bypass typical Linville Caverns cabins and stay in your own secluded sanctuary at Blue Ridge Parkway Cabin Rentals. Book online today and enjoy your stay in the High Country!